Equipment readiness is a critical part of the design criteria for any piece of firefighting and rescue equipment. Operating well during a single operation, or evolution, is good but fire and rescue teams are on call for, at least, an entire shift. The apparatus, and all equipment in it, on the other hand must be ready to roll at any time. If the equipment is spent after a single use, it becomes completely worthless, and even dangerous, on the next call when it is no longer able to be used as intended. When we designed the RAMFAN EX50Li, equipment readiness was at the top of our list. This meant swappable battery packs were non-negotiable. The fan should be capable of continuous use, during back to back operations, without being taken out of service for abnormally long charge times. Some manufacturers answer this challenge by trying to sell two fans per apparatus, to “always have one ready to go”. This may pencil out well for their business, but doesn’t do any favors for fire departments and firefighters who are operating on limited budgets and with limited compartment space. And with this “two fan option,” the fire department must budget $8,000 for 1-hour of vent time. That’s $130 per minute! In reality though, they should have invested a bit more in engineering instead of rushing out a product that is not fit for the application. Educated evaluations prior to equipment purchases are so critical to ensure that your department is getting the best value and performance for your budget. 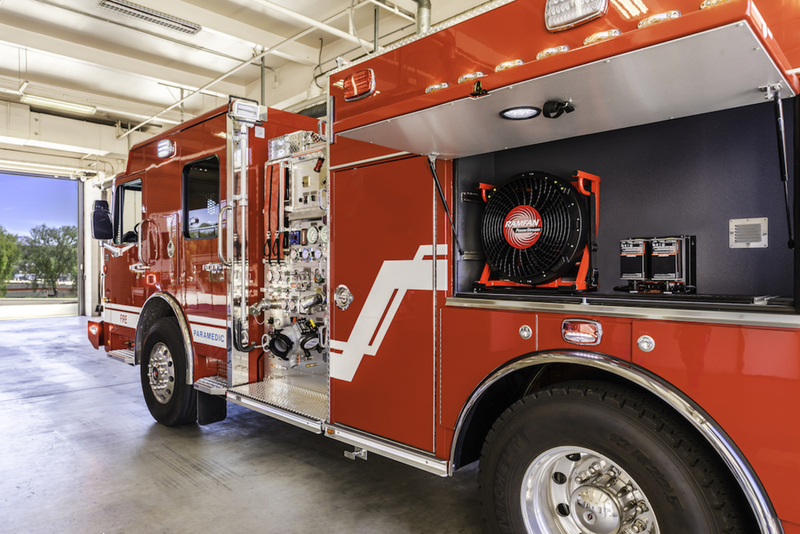 With new battery technology creeping into the firefighting world, there is a level of technology that hasn’t really been seen or discussed before in the firehouse. This means evaluations can be more complicated, as the real differences–product to product–are often in terms that you may not have heard before. Purchasing committees are tasked with the acquisition of not just equipment but capabilities. What you buy now, you’re like going to be stuck with for the next decade or more. While structures may be becoming safer from fire danger, in general, they are also burning hotter and faster when they do ignite, requiring faster response times and requiring that the responders are on point when they do arrive. You can always train the rookie to be better in time, but you’re equipment inventory is what it is. Do your homework.